916 Poker Depot offers a wide variety of custom gaming layouts to meet each client’s specific needs and requirements. All of our gaming layouts are manufactured in the USA using a sophisticated dye sublimation process that infuses your artwork directly onto the fabric so graphics will never peel away. We offer very fast turnaround times on projects. Most orders ship within 3-5 business days upon approval of art work. Rush printing is also available with same day turnaround times. We print on specialized fabrics manufactured specifically for the casino gaming industry. We offer 4 different fabrics that have been rigorously tested for different gaming applications, and the fabrics range from 6oz to 8oz. weights. Our fabrics also have a Teflon coating to help protect against spills, cigarette burns and is treated with an anti-microbial coating to protect against germs. 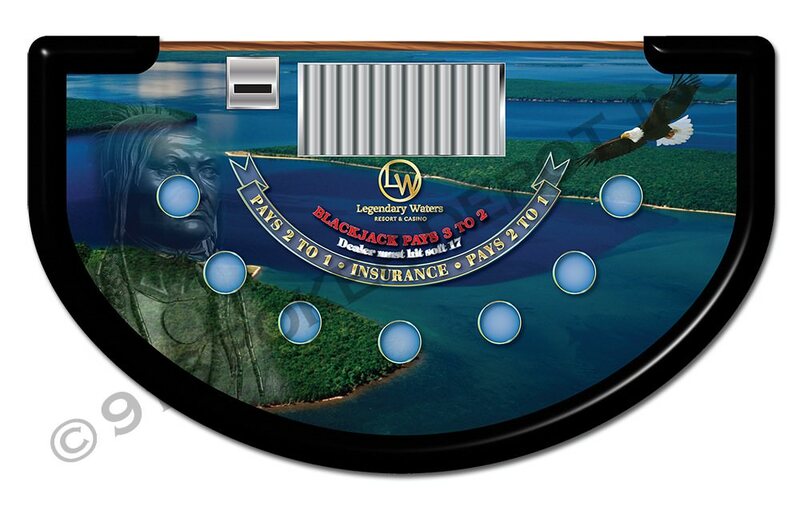 With a printing maximum of 60″ wide we can manufacture a layout to fit your casino gaming table. These fabrics provide maximum durability, so you get the longest possible lifespan from your investment. 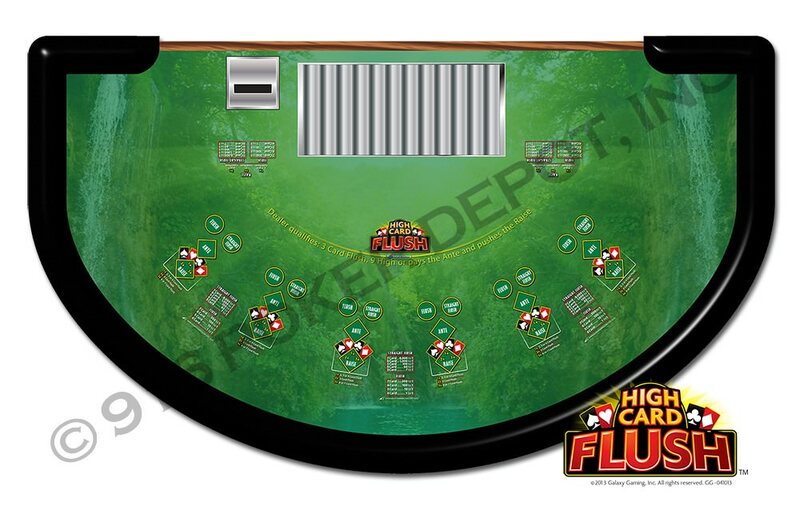 Increase your casino profits today with a 916 Poker Depot, Inc custom gaming layout. Our graphic design team has over 25 years of graphic design experience. Our capability of printing at 360 X 549 DPI also allows for professional photographic images to be printed directly onto any of our layouts. Utilizing the PMS color process we are able to offer thousands of colors to choose from. Please contact us today at 1-800-795-7089 for a color chart and fabric samples. Why Choose 916 Poker Depot?